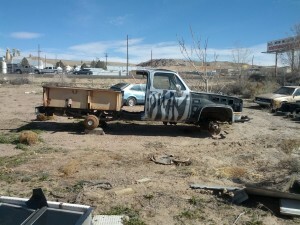 What would a website about post-apocalyptic vehicles be without a stable of projects? Vector: The car that started it all for me. 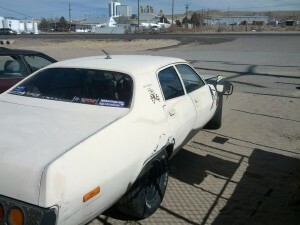 A 1973 Plymouth Satellite Sebring, modified with the 440 ci V8 from a 1978 Plymouth Gran Fury. 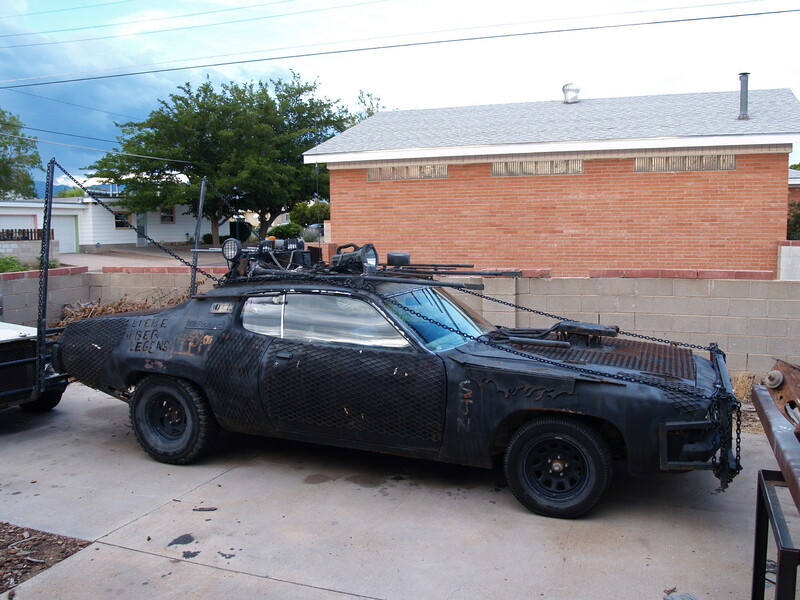 Flat black, wrapped in acres of expanded steel mesh, square tubing, NYC “No Parking” sign posts, and seeming miles of chain, this car turns heads everywhere it goes. 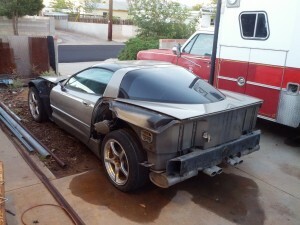 Tensor: My personal project, every modification to this car has been done according to my designs. A 1972 Plymouth Satellite Custom, Tensor features a heavily modified 318 ci engine, custom headers, tubular upper control arms, full commercial LED rear lighting in bespoke steel diamondplate housings, and a completely stripped down interior with a one-off instrument cluster and dashboard. 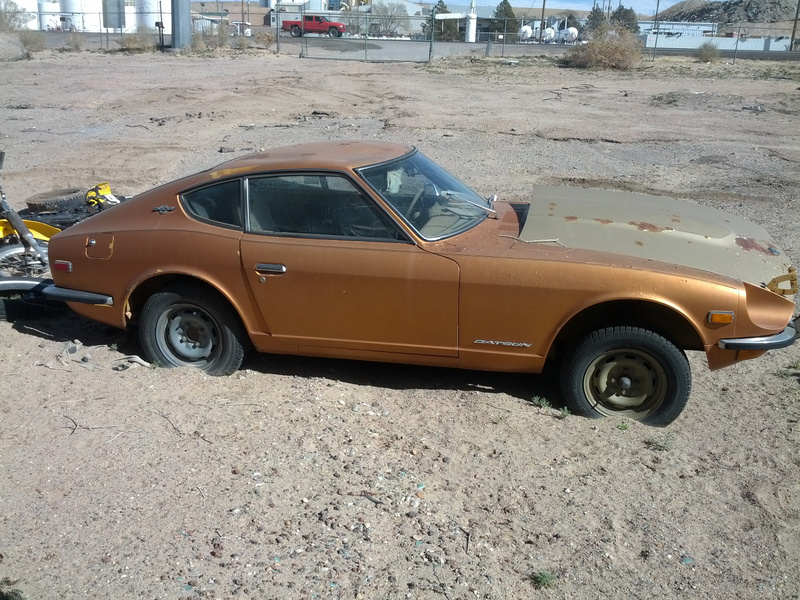 Future plans include 13″ brakes from a Mustang Cobra, a full FIA spec roll cage, front and rear sway bars, and a blast from the past aerodynamics package. 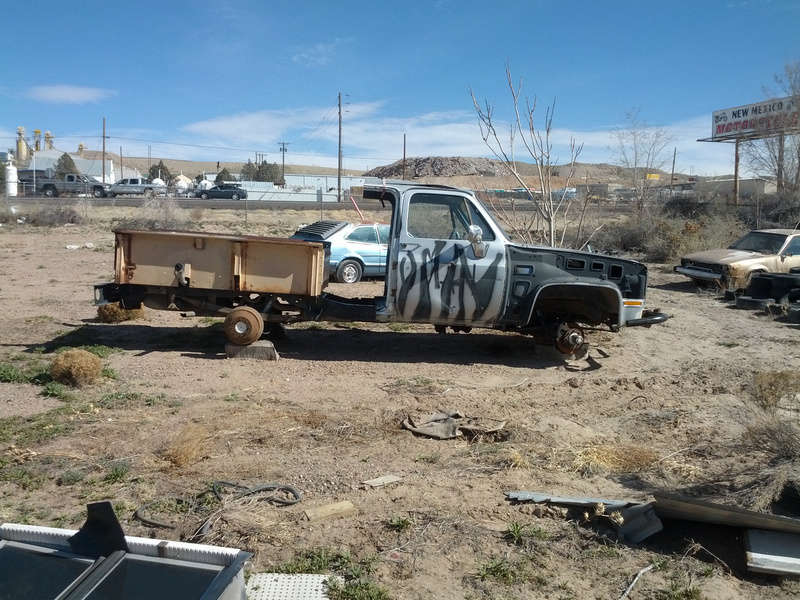 Subhuman: Starting life as a 1984 GMC K-20 Suburban, and ending life annihilated by a drunk driver while parked, Subhuman is being resurrected as a “Beyond Thunderdome” style pickup buggy. 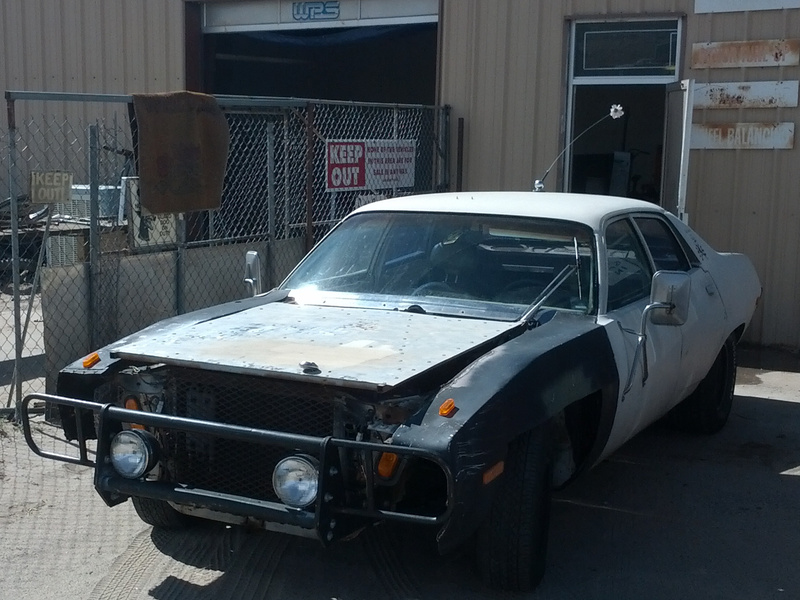 Plans include enormously stout bumpers front and rear, tractor trailer fenders and muffler, and a cage just in case the rubber side doesn’t stay down. UPDATE: Ok, plans used to include that. Subhuman got hit while parked again, and is now destined to be harvested for parts and scrapped out. 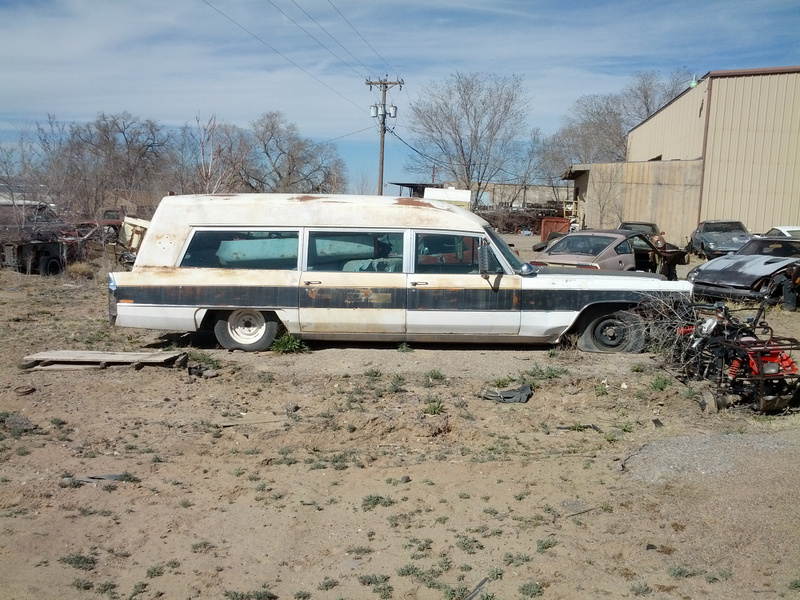 Sandworm: 1970 Cadillac Sedan DeVille, or at least the frame and powertrain of one. 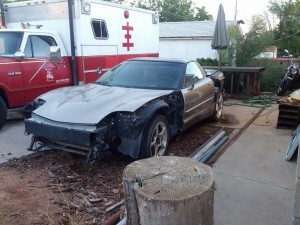 Adamant: 2002 Corvette C5. 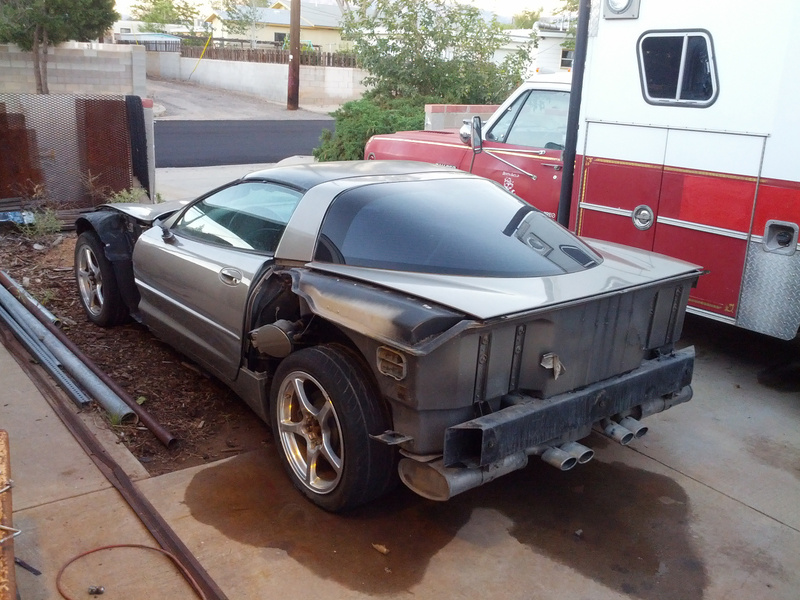 Did you know that you can take almost all of the fiberglass off of a Corvette and still have a driveable vehicle? 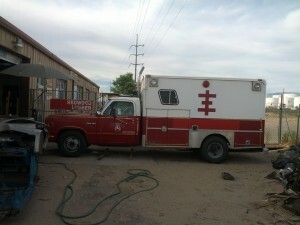 Mercury: 1991 Dodge D350 framed, Swab bodied ambulance. Tow vehicle and RV. 1970 (1971?) 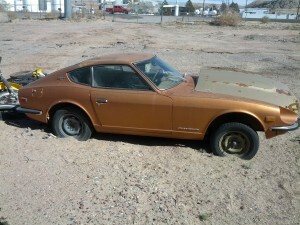 Datsun 240z. 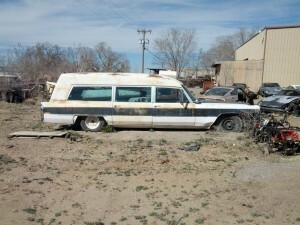 The vehicle with the most potential to be a vaguely normal project. Part of me wants to drop in an air-cooled V-twin motorcycle engine. Part of me wants to stuff an SR20DET+6 speed in it. My wallet wants me to work on something else, first. websites like pinterest and facebook on your blog.